You can blaze new trails in your mind with color & symbol. You want something new. You want to feel excited, not stuck. To create newness in your life, you simply want to DO new things. Since 1996 Whitney Freya has used art making as an energy modality to create new neural pathways in the part of your mind that is responsible for living your life as art. In this program, with hours of video instruction by Whitney, and with science and personal stories to back it up, Whitney can take even the “least creative” and inspire your radiant, full color life. Because you DON’T create art on a regular basis, this program will certainly expand your way of thinking, doing and being. And Whitney makes it fun. 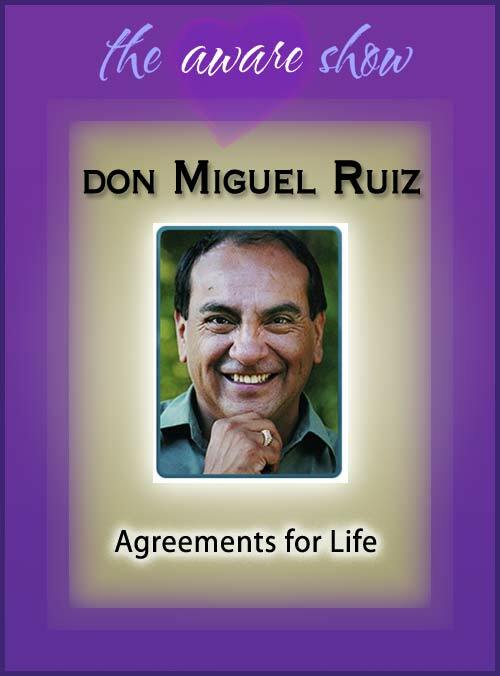 This item is a PDF eBook and 4 MP4 videos that are immediately available online, from The Aware Show. In the first leg of your journey you will Meet Your Creator Within. In your journal you will not only create pages of color, symbol and texture, but you will also connect with and learn to understand your infinite, creative mind. Whitney shares the science and the heART of how you can create change, as well as video lessons to make it fun & easy. This item is a PDF eBook and four MP4 videos that are immediately available online, from The Aware Show. As you embrace your new mindFULLness, resulting in less stress, increased confidence, bolder actions, and heightened intuitive, you will conquer your fear of being creative, once and for all, with the Painting Made Easy lessons. Anyone can learn how to create with Whitney Freya’s Creatively Fit painting technique that she demonstrates in the video lessons and in step-by-step instructions. Painting is simply a portal to more radiant thinking. Nurtured and inspired by your new creative adventures, you now accept the ultimate creative challenge, igniting quantum, whole brain receiving through The Painting Marathon, 26 paintings, one canvas, and full spectrum adventure in creativity. In this professionally filmed instructional DVD Whitney Freya explains the power of painting to expand our mental abilities, teaches you all you need to know to complete and acrylic painting, and demonstrates the entire process step-by-step with a live class. The DVD is approximately 2 hours in length and will serve to both inspire and inform. This item is an online session and you will be sent access information to attend, by the Freya team. This item is digital audio downloads that are immediately available online from The Aware Show. In this 3-part audio series, Whitney opens your mind up to a new awareness that has the power to melt away the stress and anxiety and infuse your spirit with new hope and aspiration. She shares her own story that defies logic and illuminates the power of intuition. She introduces scientific research into the mind and how it is connected to our ability to manifest change in our lives and to connect to our spiritual life in an entirely new way. And then she brings you back to the simple solution: MAKE YOUR MARK and the rest will follow. 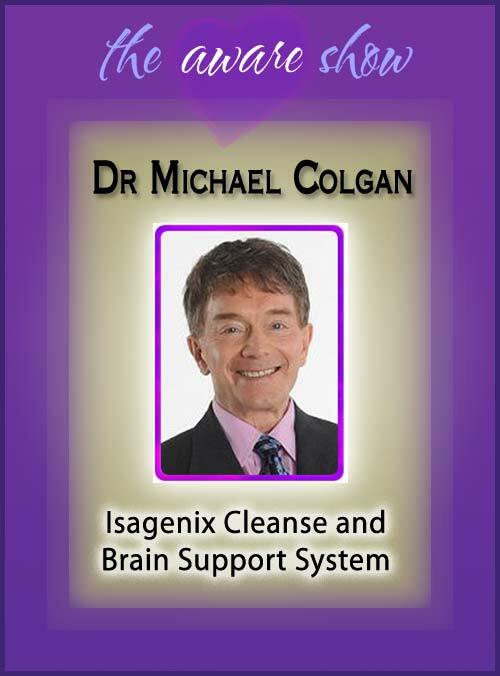 After listening to this audio, you will wonder what you ever would have done without this information–it is THAT simple and THAT exciting! This is a physical Paperback Book which will be shipped directly to you by The Aware Show. 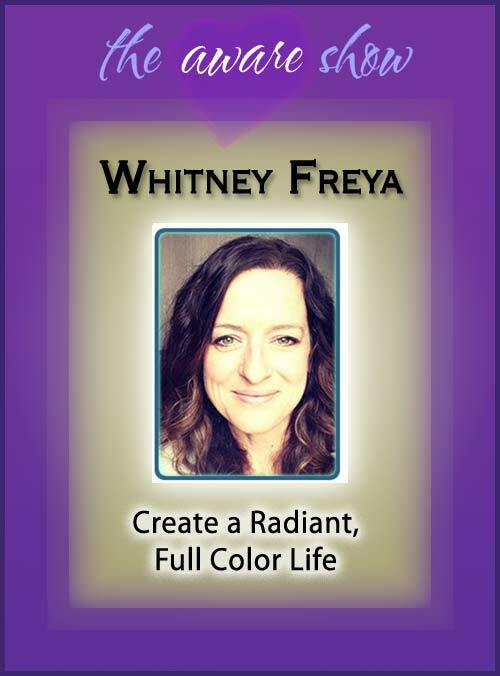 The Artist Within is Whitney Freya’s offering to any of you who want 2014 to be the year that you change your life to full living color! You can CREATE that change and this book is the vehicle that is going to get you to where you want to be!